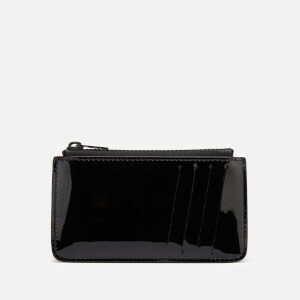 Compact card holder from Maison Margiela with contrasting snakeskin and smooth matte black panels. Detailed with the brand's iconic number print in neon yellow, the slim wallet comprises five angled card slots and one slip pocket for storing notes. Logo branding completes the design. Housed in a gift box.